Certain brand names are so common that they have come to represent the generic product, like “Kleenex” or “Frigidaire.” In relation to an authoritative volume on ancient pottery of the Holy Land, that name would be Ruth Amiran. Her book, Ancient Pottery of the Holy Land, was published in Hebrew in 1963 and in English in 1969. 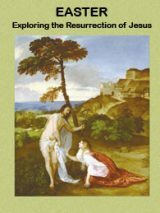 There is virtually no student or scholar of Canaan and ancient Israel who has not used this resource in training as an archaeologist or in research. This has been the ultimate “bible” of ancient pottery in Israel—until now. It seems that from now on, we’ll be referencing “Gitin” as we have referenced “Amiran” in the past. The monumental task of editing the first comprehensive update to Amiran’s classic work has been undertaken by Seymour Gitin, among whose many accomplishments include serving as the long-term director of the Albright Institute in Jerusalem and the codirector of the Tel Miqne-Ekron excavations (along with the late Trude Dothan). As Gitin describes in the preface, the birth of this work was accompanied by not a few labor pains, growing to its final form and scope after adapting to the dynamic needs of the scholarly community during the years it was in the making. 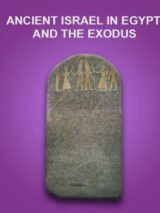 What sufficed for one volume in Amiran’s time has expanded into a four-volume series, divided into three chronologically based parts: The Neolithic to Chalcolithic Periods (one volume), The Bronze Age (one volume) and The Iron Age to the Hellenistic Period (two volumes). The latter two have just appeared, while the former two await publication, hopefully in the near future. A major effort was invested in enhanced graphics, which entailed the painstaking redrawing/re-inking of more than 6,000 images to achieve consistency and clarity. Indeed, the high quality of the images in these books is particularly commendable. The color photos at the end of the second volume are an excellent contribution, and one wishes that there would be more of these; perhaps in future editions a link to an online photo album would be in order. The contributing authors are among the “who’s who” of the archaeology of the land of Israel and of Jordan, so the reader is sure to get optimal information on the pottery under discussion. The first volume includes material from the Iron Age IB (11th century B.C.E.) until the Iron Age IIC (early sixth century B.C.E.) in different geographic subregions in Israel (Galilee, Samaria, Jezreel/Beth Shean Valleys, the Coastal Plain, Judah, the Negev and Philistia), as well as in Jordan. The second volume includes Iron Age I–II pottery groups from Phoenicia, Cyprus, Greece and Egypt, as well as Assyrian-and Egyptian-style pottery. The last four chapters of this volume include the Persian and Hellenistic Period pottery, both local and imported. Chronology, the thorn in the side of (particularly Iron Age) archaeologists, is elegantly dealt with through a “live and let live” approach. Although the editor adopts the “party line” of conventional chronology for the transition from Iron Age I to IIA, authors who differ from this approach are free to state their case, and they do so, mainly in footnotes (for example, in Chapter 2.4 on the Iron Age IIA–B in Judah and the Negev by Zeev Herzog and Lily Singer-Avitz). Each chapter is, in essence, a world of its own, presenting a brief overview of the period and an introduction to the nature of the pottery under discussion. The bulk of each chapter then follows the main forms (the “typology”), providing an array of examples for the types from various sites in the region. The advantage of this is the opportunity to delve in depth into the material of the period and region under discussion. The disadvantage is that to get a bird’s-eye view of the pottery from a certain period or region, one would need to piece it together from the different chapters. Another disadvantage of this fragmentation is a certain degree of redundancy, as the same pottery types may appear in different regions (e.g., the same flask appears in Amihai Mazar’s chapter on Iron Age IB pottery and in Ephraim Stern’s chapter on Iron I–II Phoenician pottery). Who will use these seminal volumes? Certainly this important resource will appeal to a broad audience: students learning how to identify pottery; scholars researching the material culture of the Iron Age, Persian and Hellenistic periods; and lay people passionate about expanding their knowledge of the historic interface between pots and people in the Land of the Bible. Pottery, although one of the plainest handmaidens of archaeology, serves many purposes in archaeological research, helping us to answer questions of “when,” “where,” “who” and sometimes even “why.” These handsome volumes put this somewhat mundane category of artifacts in the spotlight it so deserves. I congratulate the editor and the authors on the fruit of their efforts and look forward to the publication of the next two volumes to complete the set. Nava Panitz-Cohen is a researcher and instructor at the Institute of Archaeology of the Hebrew University of Jerusalem. She is also Codirector of the Tel Abel Beth Maacah Excavations in northern Israel.